The double GRAMMY recognition encapsulates the success of Tauren Wells’ past year, which kicked off with his song “Undefeated” (from his 2016 solo EP of the same name) getting licensed by Fox Sports and played during NBA coverage. Wells released his debut LP, Hills and Valleys, in June, which was highly received by critics and calling it “contagious,” “energetic,” and an album that “takes listeners from quiet moments of encouragement to a strong, fast-paced, energetic celebration of Christ’s goodness and faithfulness.” Hills and Valleys also made a successful first week appearance on the SoundScan Christian/Gospel Digital Albums chart at No. 3. The hit single “Hills and Valleys” was one of the most streamed Christian songs of 2017, according to Spotify. Along with featuring Tauren Wells as the cover artist, Spotify also placed the song as the first track on their Top Christian Hits of 2017 playlist. The song was also chosen as one of K-LOVE’s top performing songs of the year. 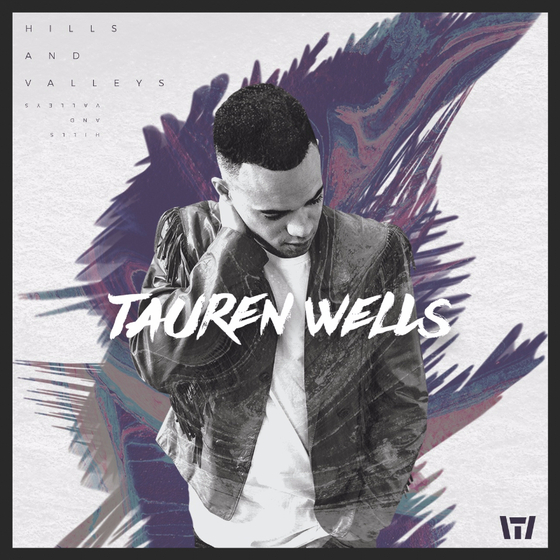 The network shares that Tauren Wells is “One of the fastest rising stars in Christian music” and “’Hills and Valleys’ is a special song that showcases the singer’s range, but it’s far from his only hit.” Additionally, the music video for “Hills and Valleys” has had an astounding 12.7 million views to date. His latest music video, for “When We Pray,” is already close to a million views and can be viewed here and below. Lionel Richie and Tauren Wells backstage at the All The Hits Tour stop in Dallas On the heels of his album’s release, Wells began the summer energizing large audiences across the U.S. as the opening act for Lionel Richie’s All The Hits Tour with special guest Mariah Carey. The 22-city tour hit the country’s most renowned venues, from Madison Square Garden in New York City, American Airlines Center in Dallas, and the Hollywood Bowl in Los Angeles. Wells also appeared on numerous morning and afternoon TV shows in some of the biggest markets promoting his music and the tour such as Dallas, Houston and Los Angeles. Wells also performed at two of industry’s biggest annual events this past year – the K-LOVE Fan Awards and the GMA Dove Awards – before he joined the Air1 Positive Hits Tour in the fall, which took him to more than 30 markets coast to coast. With 2017 being such an astounding year for Wells, what does his 2018 hold? It will kick off with the 60th Annual GRAMMY Awards® on Sunday, January 28, 2018 and held live at Madison Square Garden in New York City. He will then join Chris Tomlin’s annual concert event Worship Night In America, which kicks off in April. Be sure to visit TaurenWellsOfficial.com for the most updated tour schedule and for more information.